My husband and I were recently editing the first draft of his latest Y/A comic fantasy novel.1 Because these books are being published in Britain, one of the minor, but besetting issues has to do with conveying measurements like height, width, depth, weight, and distance. 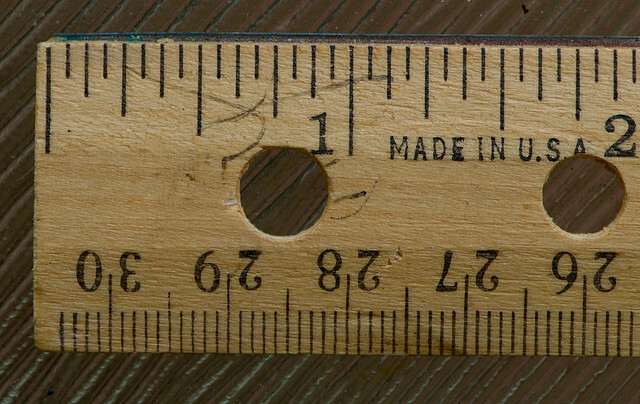 When Britain entered the EEC in 1973, the government agreed to adopt the metric system. Since then British children have grown up using millimetres, centimetres, metres and kilometres in place of inches, feet, yards, and miles; milligrams, grams, and kilos in place of ounces, pounds, and tons. The metric system works brilliantly in modern scientific and industrial contexts, including contemporary and futuristic fiction. However, if you’re writing a fantasy novel, the use of metric terminology seems incongruous, not to say anachronistic. For example, if yours is a work of epic fantasy, you could write, The dragon was the height of a beech tree. / The golden sword was the weight of a woodman’s axe. If, by contrast, you’re writing contemporary urban fantasy, you can use descriptive analogies to highlight the contrast between the mundane and the marvelous: The dragon was the height of a five-story office block. / The golden sword weighed as much as a bowling ball. This descriptive technique, so helpful in British fantasy, has creative applications in other types of fiction. Compare, for example, the sentence The CEO of Synergy Systems, Inc. was five feet tall, and had an assertive personality with its metaphorical counterpart: The CEO of Synergy Systems, Inc. had the body of an adolescent and the personality of a Rottweiler. The first sentence provides information; the second provides information leavened with humor. There is also such a thing as negative analogy. Negative analogy is a wonderful vehicle for conveying irony. You could write Senator Bogtwaddle’s summer house was very large and expensively furnished, but this is coma-inducingly dull. If you want to spice things up, try the negative approach: Senator Bogtwaddle’s summer house wasn’t as big as Buckingham Palace, but it had its charms. This description has a sting in its tail. As with other types of figurative language, the more original the analogy, the better the effect. 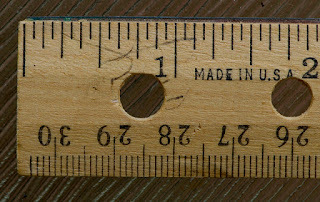 2 American fantasy writers don’t have this problem because America still uses Imperial measurements – so-called because these are the units of measurement once used throughout the British Empire. The commonest units of Imperial measurement are based on the average human body. For example, an inch = the length of your top thumb joint; a foot = the length of your foot; and a yard = the length from your breastbone to the middle finger of your outstretched arm. One advantage of the Imperial system is that you don’t need any technical apparatus to guesstimate how big something is or how far away it is in relationship to yourself. Epic Fantasy, High Fantasy, Historical Fantasy, Contemporary Urban Fantasy, Dark Fantasy, and Comic Fantasy. Nice piece, Debby. Even without the problem of measurement terminology, I really don't care for descriptions that give height in inches or weight in pounds. Your example of describing the CEO was perfect. What a great image that conveyed, which is the beauty of using a descriptive metaphor. Hey, pretty clever, Debby ... and I read it all while drinking half a cup of coffee! Maybe there's another way to do this. If the actual distance itself isn't vital to the story, here are some alternative ideas. Three miles down the country road at 30 miles an hour would take 6 minutes. Why not say something like this: "The six minute drive down the rutted gravel road seemed to go on forever"? Or if a vehicle traveled 60 mph on the highway, you could say this: "The three-minute drive passed before she could gather her wandering thoughts. She wiped her sweaty hands on her skirt. The lump in her throat grew until it threatened to cut off her air. She stepped out of the car. The front door creaked open. Then he stood in front of her, older but no less terrifying." No distances here, but the reader gets the sense of traveling; the focus points to what's happening rather than the numerical distance to the destination. It could also be a full day's drive, a two-day sail across the choppy water, or whatever. What do you think?